These lovely, wooden planters arrive with everything that’s needed to create an instant vegetable garden with your little ones. Simply add water to the coir compost block and mix with the organic plant nutrients provided, then pop in your vegetable plants. Enjoy growing and harvesting fresh organic vegetables and salad from this garden throughout the spring and summer. This planter can easily be placed on a patio or decking area. Plants will grow best in a nice sunny spot. 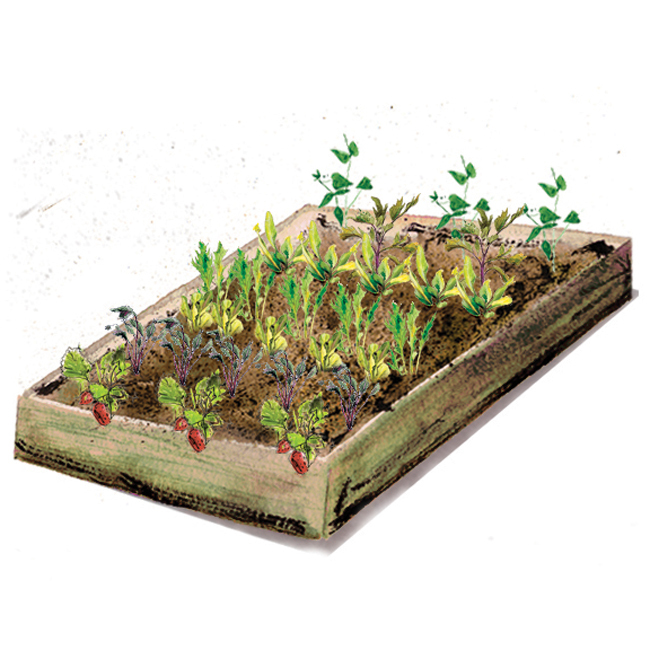 This lovely, wooden planter will arrive with everything that’s needed to create an easy-to-grow salad patch that will provide tasty leaves throughout the summer. 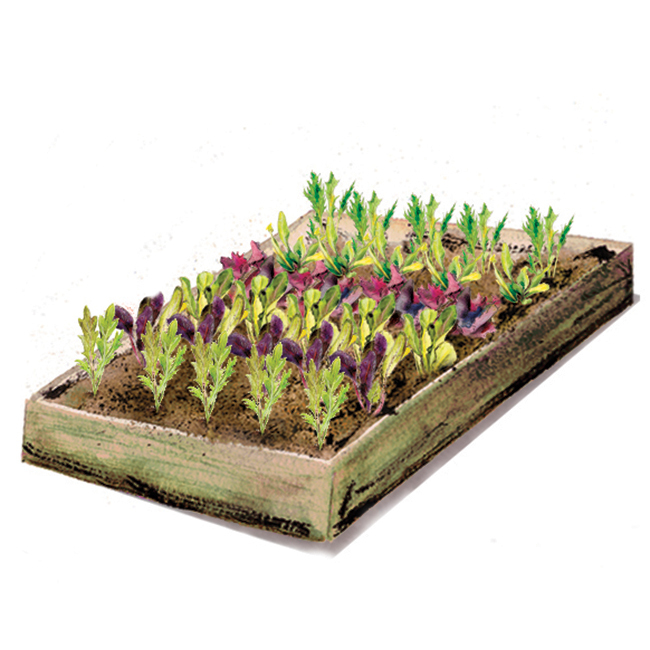 Simply add water to the peat free organic coir compost block and mix with the organic plant nutrients provided. Then pop in your organic plants. Pick the outer leaves regularly to add to salads. This planter can easily be placed on a patio or decking area. 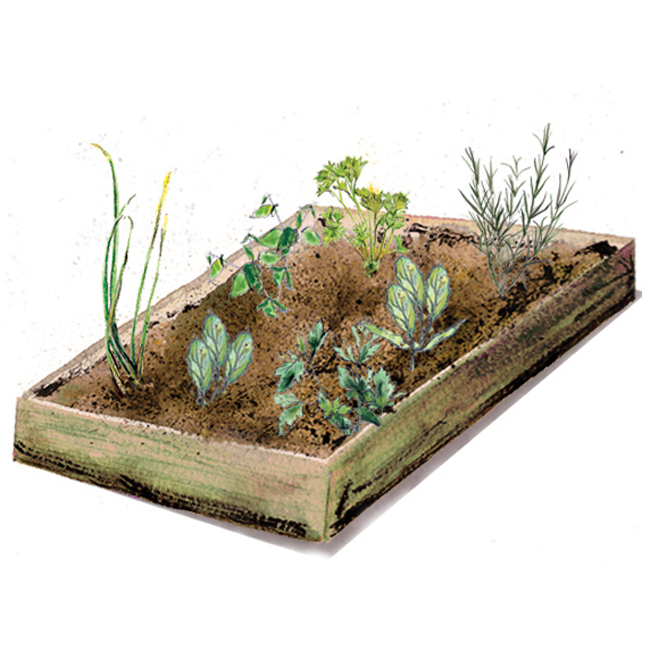 This lovely wooden planter will arrive with everything that’s needed to create an Instant living herb garden. Simply add water to the peat free organic compost bale and mix with the organic plant nutrients provided. Then pop in your herb plants and place in a warm sunny location. 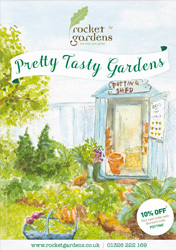 Enjoy growing and harvesting fresh organic herbs from this garden for the next few years. With just a little TLC you will have strawberries for years! These lovely wooden planters arrive with everything that’s needed to create a deliciously productive strawberry patch. Simply add water to the peat free organic compost bale and mix with the organic plant nutrients provided. 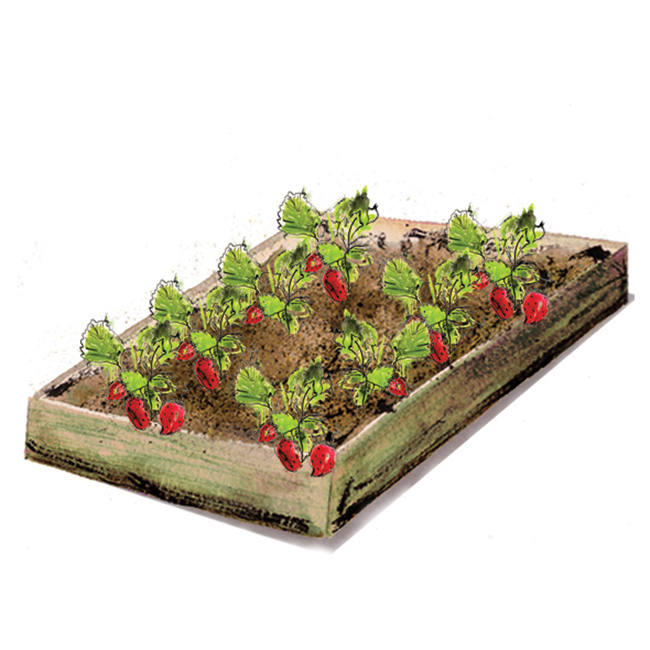 Then pop in your strawberry plants and place in a warm sunny location. With just a little TLC these plants will provide fresh berries every summer for the next 3 years. This planter will happily fit on a patio or decking area.